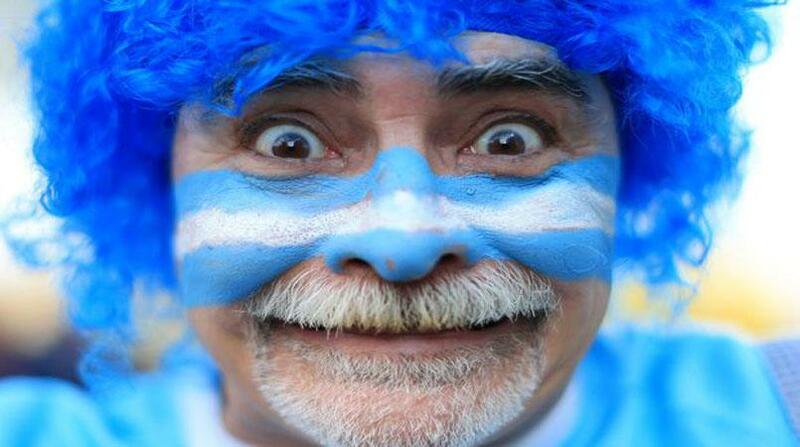 Argentina suggested they could be a force in Super Rugby after routing a Barbarians team containing five World Cup finalists 49-31 at Twickenham. As a signpost for how they will perform when they join Super Rugby next year it was very encouraging, with all 23 players present at the home of England rugby available for the newly-formed South American franchise. The Barbarians line-up contained a number of stars, including All Black Nehe Milner-Skudder, Wallabies midfielder Tevita Kuridrani and Springbok veteran Victor Matfield, but the hosts were lacklustre at best, and far tougher challenges await in the southern hemisphere's premier provincial competition. But the level of skill and intent shown by Argentina was impressive as they continued with the swashbuckling style that lit up this autumn's World Cup until their semi-final exit at the hands of Australia. It was fitting that the final try was scored by Matfield, who flopped over in the corner during the closing seconds of his final international. Matfield was joined for the last 15 minutes by his long-term South Africa second row partner Bakkies Botha - playing his last game of rugby - and there was a comedy moment when Botha took the conversion, pulling his shorts up high before executing the kick with hands clasped together a la former England first-five Jonny Wilkinson. It took only six minutes for Argentina's line to crack when Kuridrani skilfully gathered New2 Zealander Lima Sopoaga's grubber and touched down amid an edgy start from the Pumas, but they soon settled. A series of drives, the most notable of which was a bulldozing line from prop Ramiro Herrera, had the Barbarians in full retreat until number eight Facundo Isa arrived to crash over. The Barbarians' bright start was becoming a distant memory as Cordero side-stepped his way across the whitewash, capitalising on some reluctant defending. Argentina's third was pure class, with Cordero turning creator in a move that began inside the 22, darting forward and flicking a superb pass to Ramiro Moyano for the full-back to score. Lacking in urgency and showing little intensity at the breakdown, the Barbarians were coming apart at the seams, but they still had the skill to conjure a try in a heartbeat, as seen when Sopoaga chipped ahead for All Blacks wing Waisake Naholo to score. But the first half belonged to Argentina and they plundered a fourth when breaking from deep yet again, halfback Martin Landajo kicking into space for Cordero to claim his second score. Replacement back Emiliano Boffelli had been on the pitch for mere seconds when he skippered through some weak tackles before sending Landajo over. Play swept from end to end, Sanchez executing a try-saving tackle on giant Fijian wing Nemani Nadolo to launch a dashing counter-attack that ended with centre Jeronimo de la Fuente touching down. Wallabies wing Joe Tomane scooped up scrappy ball and raced over as the Barbarians hit back before Nadolo cantered over in the right corner, slipping two tackles as he ran. Sanchez crossed, but the final word belonged to old friends Matfield and Botha.